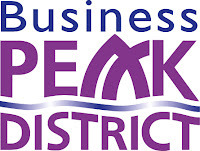 Please note, this event by Business Peak District is only available for businesses located or trading within the wider Peak District. This seminar is designed for any small and medium-sized Peak District businesses wanting to develop online marketing who would benefit from an overview of social media to find out how it can help grow a business. No technical knowledge is required. This seminar is presented in a jargon-free, easy-to-understand format and includes presentations from companies that are using social media in a successful way.